It’s all about being applications-oriented. 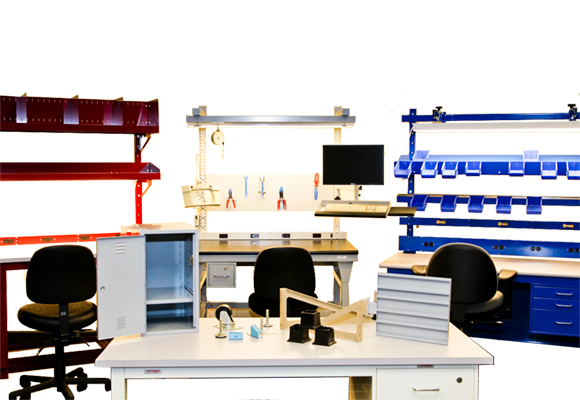 Whether it is an industrial, assembly, research, medical, laboratory, government, or educational application, Workplace Modular Systems has already configured and supplied a workstation that perfectly fits the task requirement. Over the past 50 years, we have built our outstanding reputation for innovative design, superior craftsmanship, and responsive customer service. 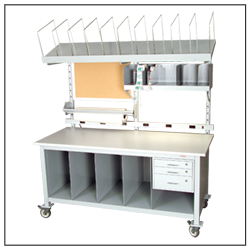 We supply workstations, benches, carts, tables, and companion products that cover an enormous variety of applications. Throughout our history, we’ve remained committed to helping our customers solve the most demanding application requirements.